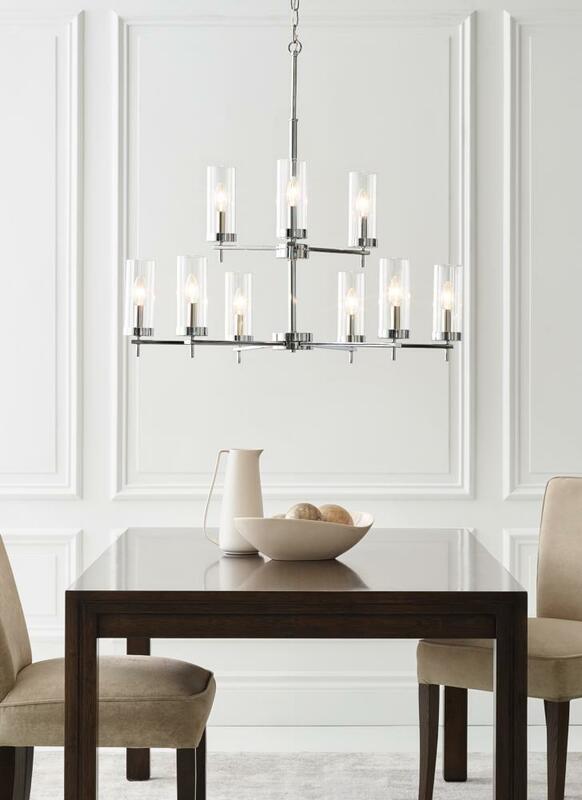 Zire embodies simple clean lines in three finishes that strike a perfect balance of elegant yet minimalist design. Each of the lights sits on the round bottom rim, featuring an Edison-inspired design highlighted by a cylindrical glass shade. 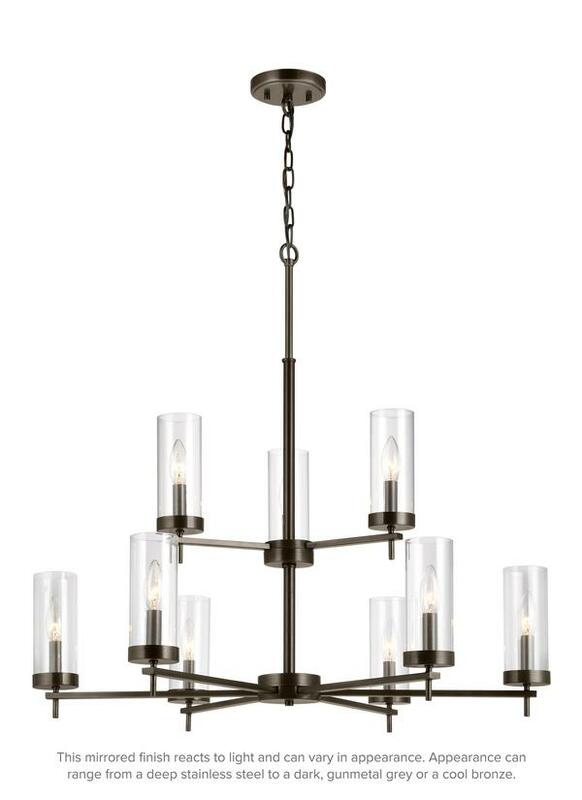 The assortment includes nine-light, five-light, and three-light chandeliers, a five light linear, one-light mini-pendant and one-light, two-light, three-light and four-light wall/bath fixtures. A stylish and elegant addition to any room in the house. 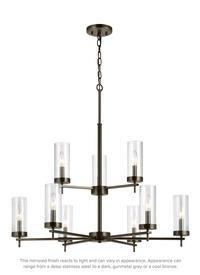 Zire is offered in a Brushed Oil Rubbed Bronze, Brushed Nickel or Chrome finish. 9 Candelabra Torpedo 60w Max.